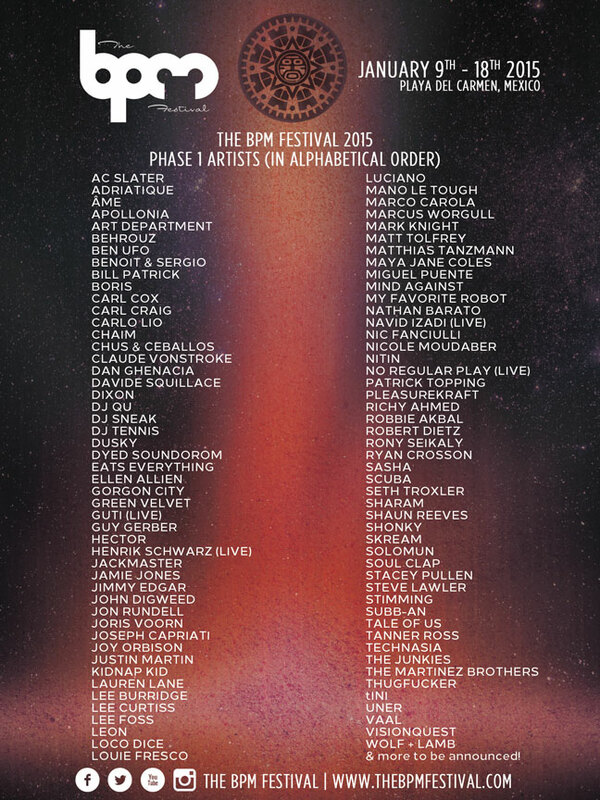 The highly regarded BPM Festival is returning for its eight edition this year. From January 9/18 2015, the majestic Playa Del Carmen will once again be the setting where all underground dance music aficionados and their heroes come together, and turning a winter holiday into a sun-drenched paradise of music and dancing around-the-clock. Set along the scenic landscape of the Mayan Riviera, The BPM Festival offers attendees a chance to experience a taste of one of the greatest sides of Mexican culture and venture off the beaten path, in addition to indulging in Playa del Carmen’s bustling nightlife scene. From exploring the mystery of the Mayan ancient ruins to swimming in underwater caves, there is an endless array of activities to discover in Mexico. Drawing in an international, dance music savvy crowd from all over the world, industry professionals, artists, and dance music enthusiasts alike revel in a continuous programming featuring over 250+ artists and multiple day & night events. Phase 1 of the line-up for the festival has been disclosed, and it is looking promising indeed. Expect the cream, the aristocracy, of the international DJ community to be found here. Who says you can’t have summer during the winter?